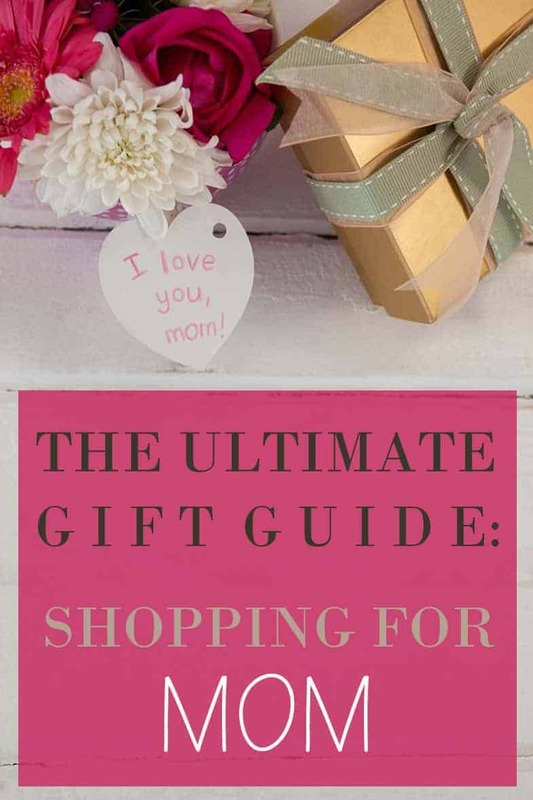 Great Gifts for Girls - Christmas, Birthday or Just Because Gift Ideas! Great Gifts for Girls! All things pink, bright and girly – what could be more fun to buy?! These gifts will make any little girl’s day – from unicorns to fun crafts and trendy finds – they’ll smile ear to ear when they unwrap any of these gifts. 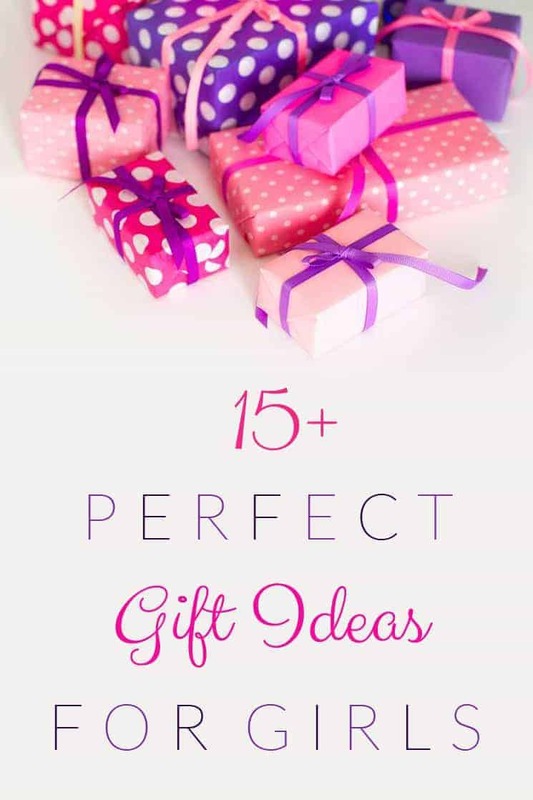 If you have a little girl who has lots of birthday parties for her friends, these Great Gifts for Girls Ideas will help with that, too! What’s better than seeing little girls play dress up? 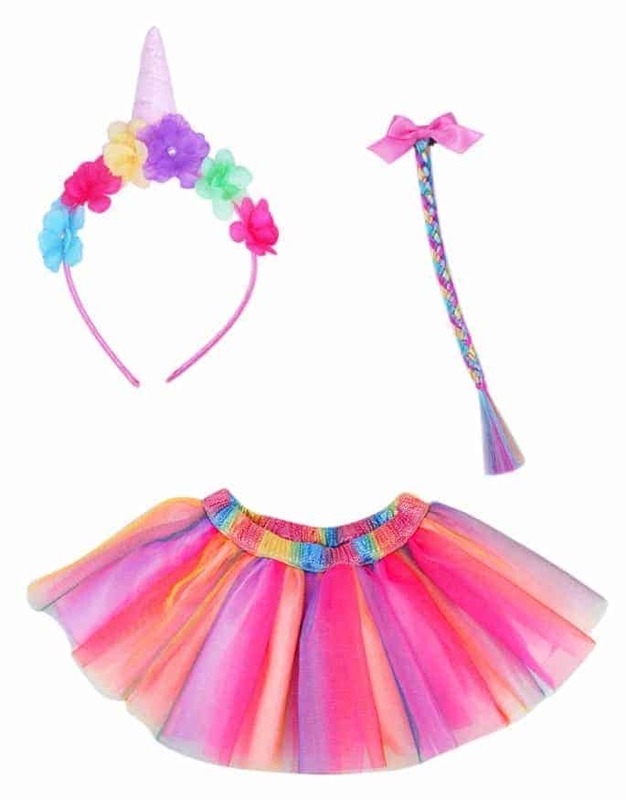 This unicorn dress up kit will provide them with tons of fun! 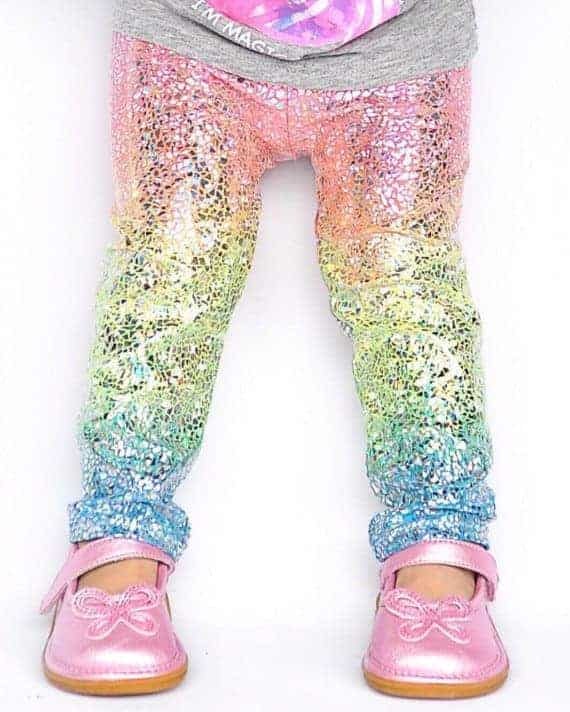 Then, they can put on these adorable Unicorn Leggings! And yes, they do come in adult sizes too! 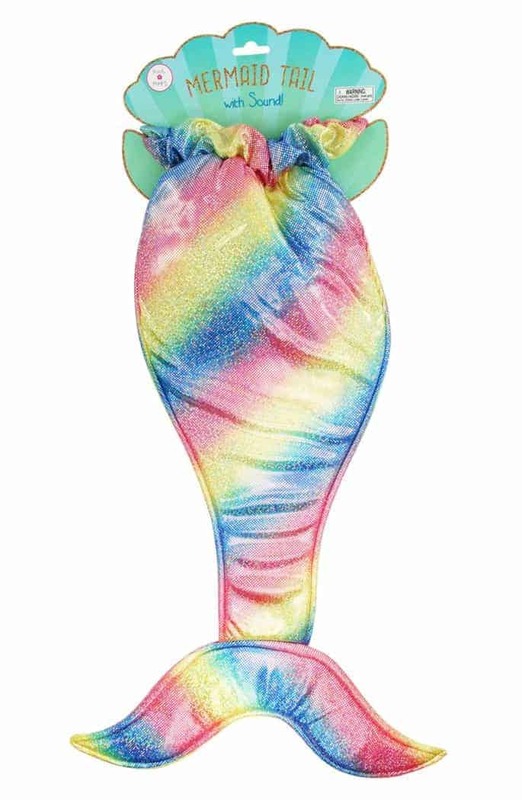 Mermaids are all of the rage for little and big girls alike right now! This Mermaid Tail makes for a great blanket, dress up component or whatever a little girl’s imagination lets it be. It’s colorful and fun and is a great gift that they’ll love! 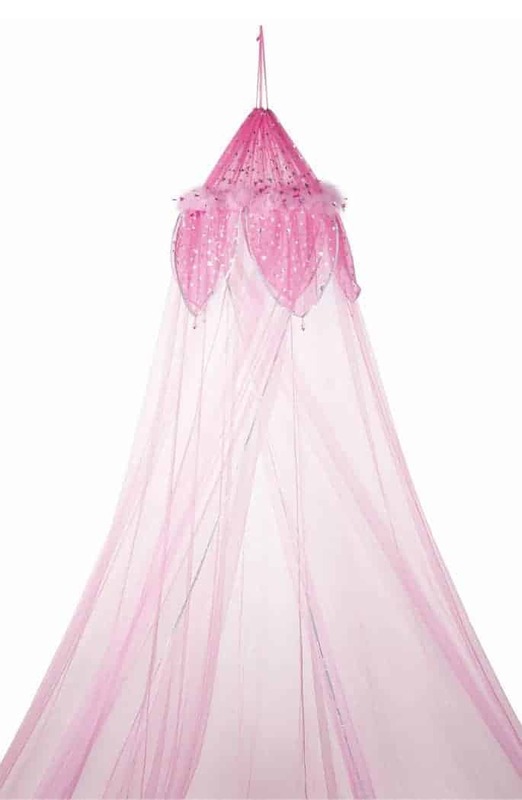 While this is technically a bed canopy (and would be oh-so-cute over a little girls bed! 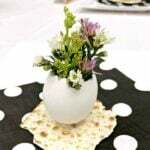 ), I have visions of a little play corner for an imaginative little girl with this one. Just think – you could hang it in the corner of their room and make a small play/reading nook for them that’s cozy and fairy-like. That would be a gift in itself! 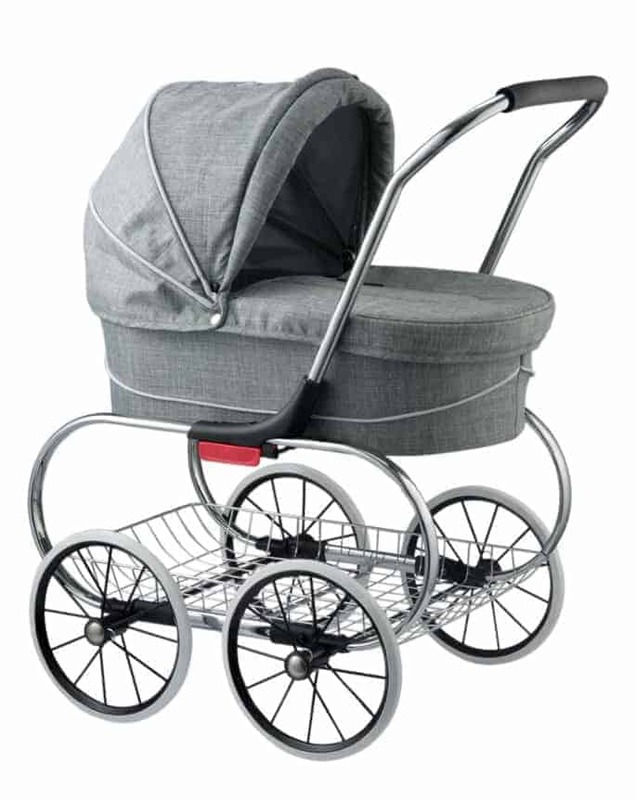 Have you ever seen such a real, life-like doll stroller?? This one comes in two colors and is so realistic that little girls who love to play with their baby dolls will love this. It’s a great holiday/Christmas gift! 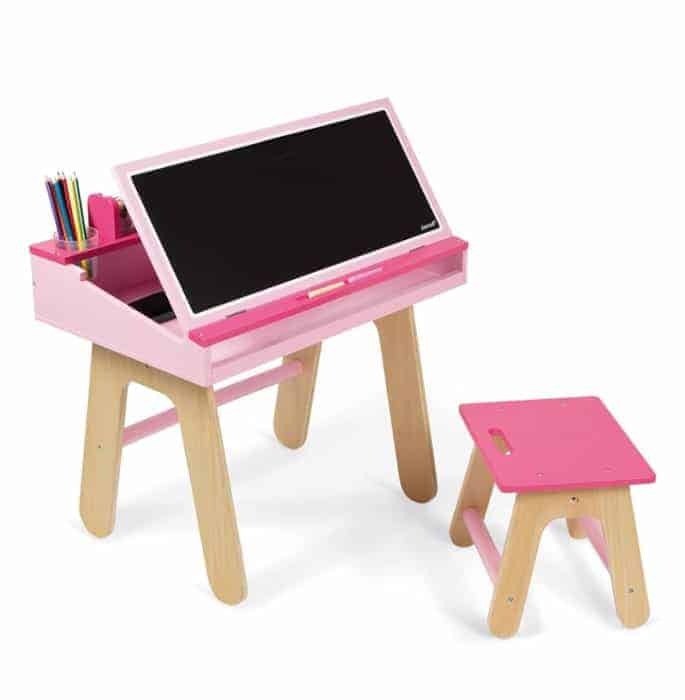 Allow their creativity to flow when they spend hours sitting at this cute little easel! Watch them draw and paint and see what they dream up with this cute gift idea. 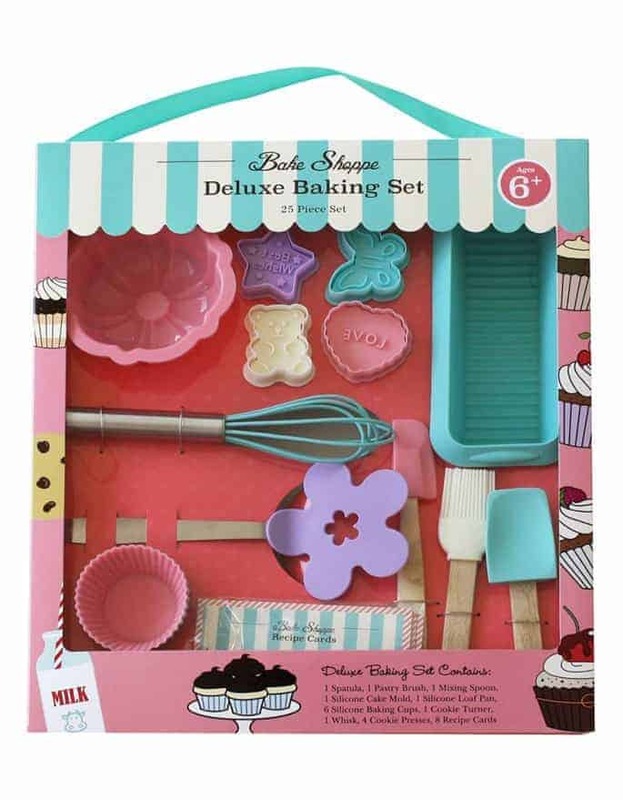 Bring your little baker into the kitchen with you with this absolutely adorable baking set! 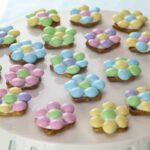 It’s pre-packaged – great for a gift – and the pieces included will get their creative minds flowing and get them wanting to be involved in baking and cooking with you. Plus, who could resist these little spatulas and pastry tools?! 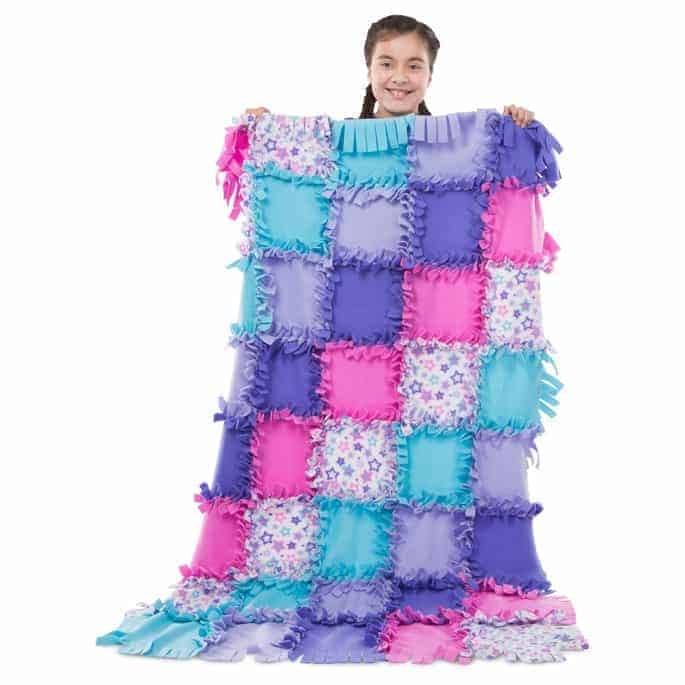 While this Star Fleece Quilt Blanket couldn’t be easier to make, it’s also SO fun for little girls! You simply tie the quilt squares together in knots – and it all comes together in a kit. They can mix and match the colors/patterns and create their own masterpiece. This would be extremely fun for them to do with their friends! 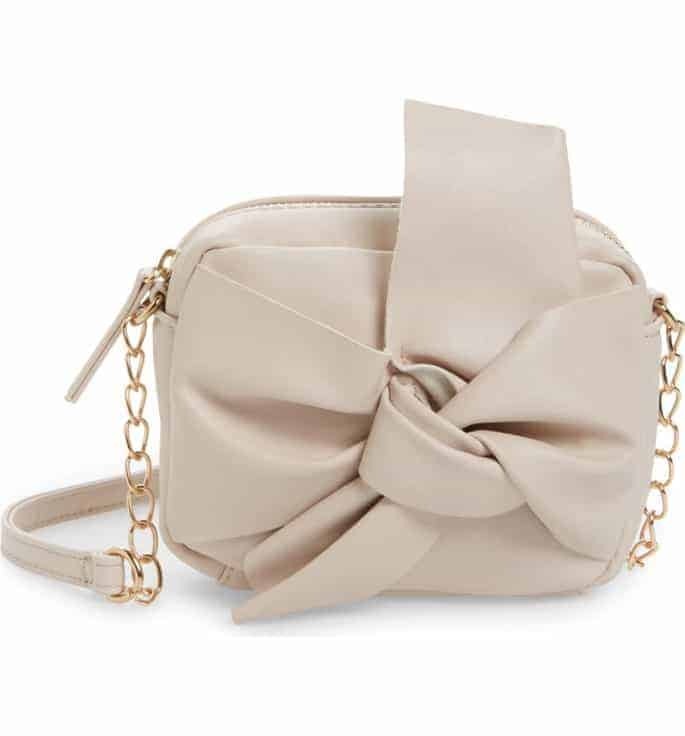 Go ahead, tell me this isn’t Little Girl Purse you’ve ever seen! Your fashion forward daughter will love filling this up and taking it out – it’s faux leather, extremely affordable and is something she’ll no doubt love as a gift. 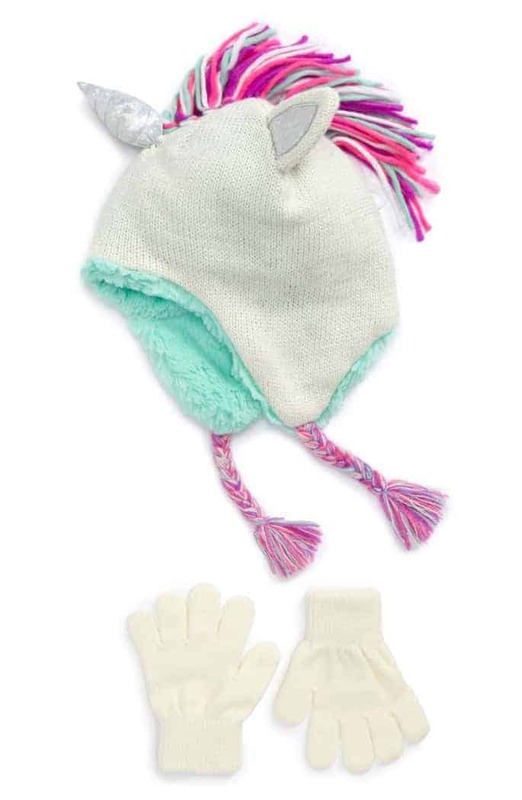 She’ll be stylish, cute and having so much fun in Unicorn Hat and Glove Set ! It’d make for a great gift to give to her friends, too. 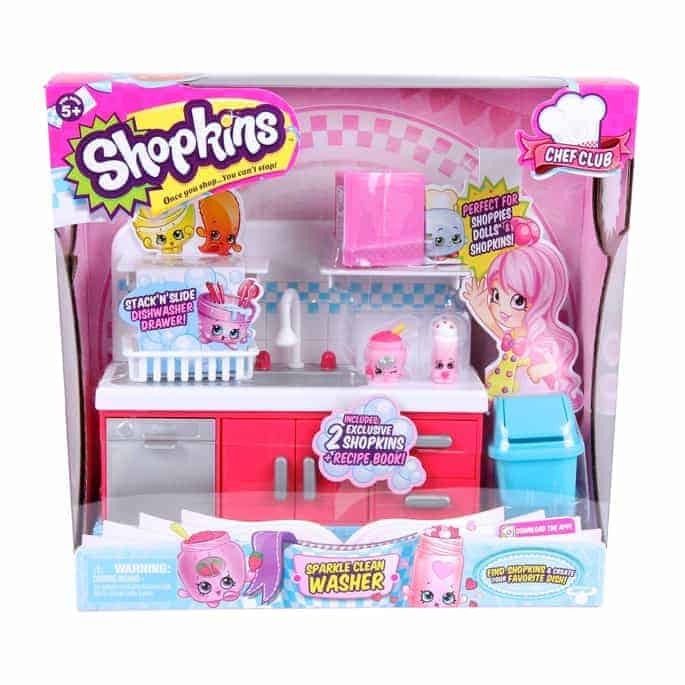 Most of the time, asking a little girl what she wants as a gift will result in her saying “Shopkins“! 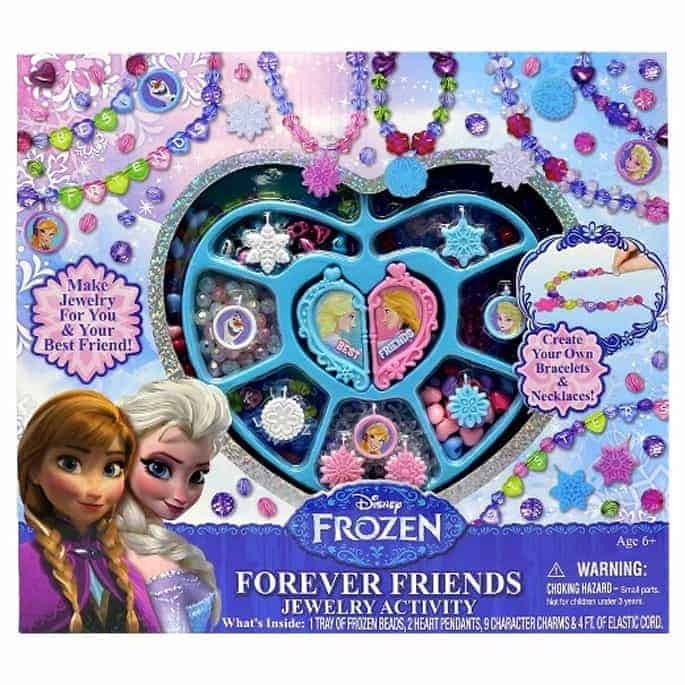 This is a great stocking stuffer for little girls, or even as a birthday gift. You can’t go wrong with this one! Karaoke has come a long way, let me tell you! 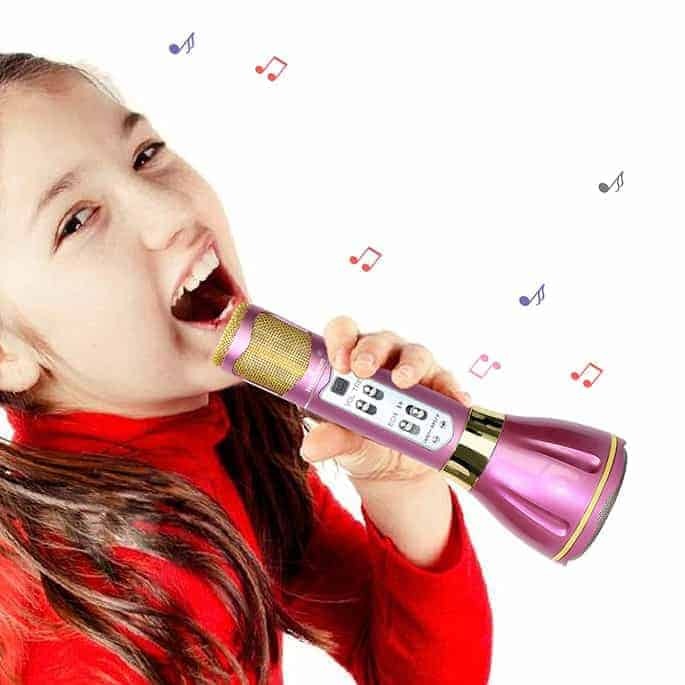 Wireless Microphone lets them practice their singing skills, have fun and dance around their bedroom. You’re never too young for that! It simply connects to any smart device via Bluetooth and allows them to sing their hearts out. 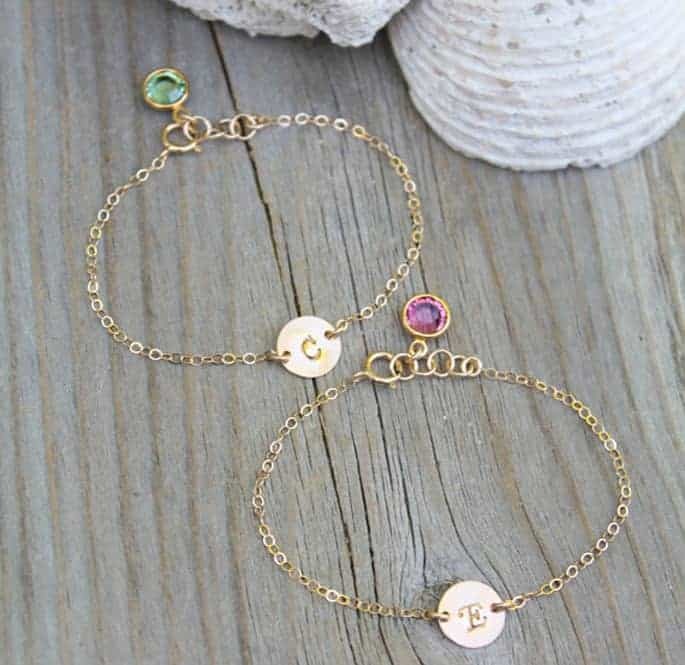 This dainty, handmade and personalized 14k gold initial bracelet would be the perfect gift and even comes with a Swarovski crystal with the stone color of your choice. It is absolutely beautiful and makes a great first piece of jewelry. Glitter, spice and everything nice – that IS what little girls are made of! 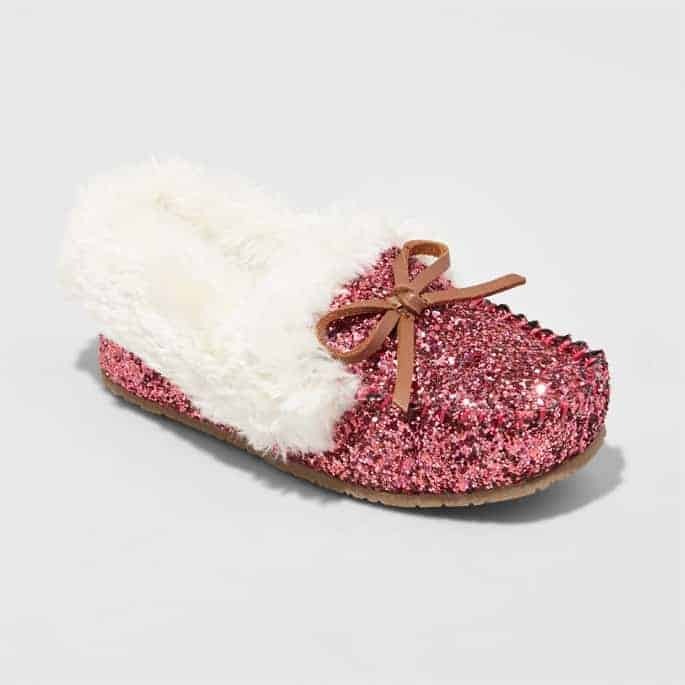 😉 These pink, glittery moccasins are sure to make her smile and are super cozy! They’re only $16.99, too. 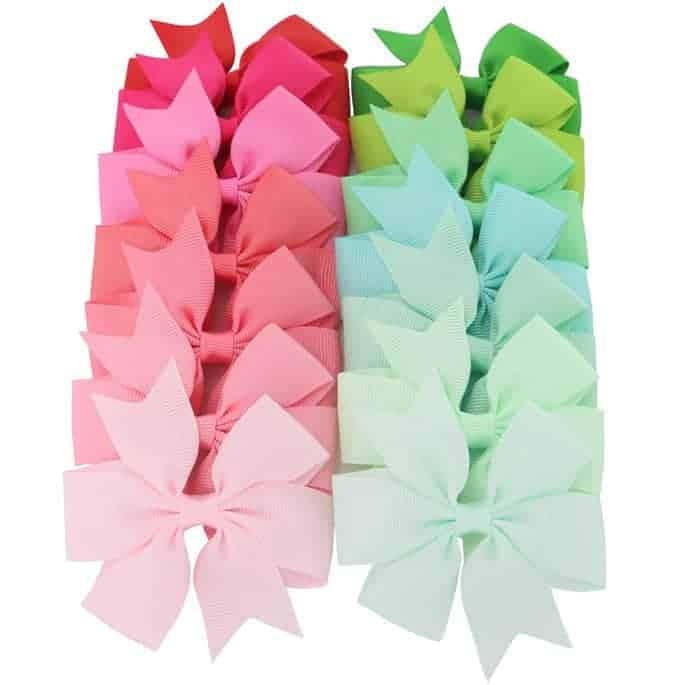 Since these are bow clips, they’re great for so many ages! They’d make for a great stocking stuffer or any holiday gift. I will continue to add to this list as gifts are ordered or arrive. I will review them and when I find ones that I like, I will add them to this list. 🙂 Enjoy! Looking for Great Gifts for Boys! Check out our guide for those rug rats!